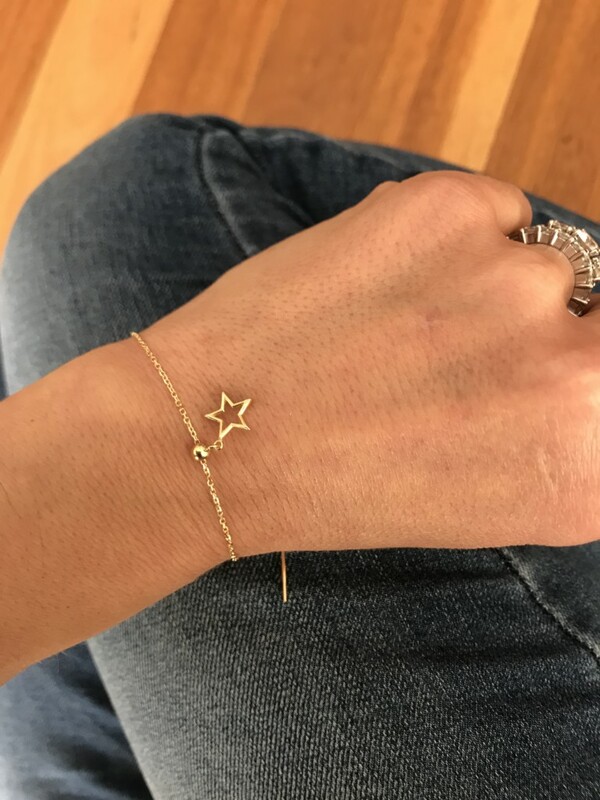 Mad for this 18kt Yellow Gold Star bracelet. The chain is threaded through the small gold ball attached to the charm. Adjust the charm to your desired position, place on your wrist and secure by threading through the ball at the end of the chain. Stars are symbolic of truth and guidance. They help us navigate our way through the twists and turns of life.